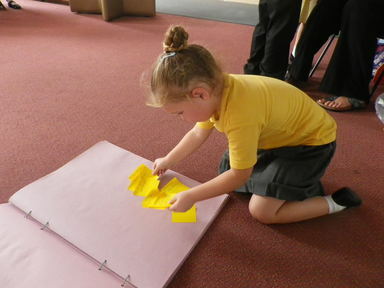 It has been such a busy week in year one! We have settled in well and have also gained some new school friends. Our new friends have settled extreamly well and we hope they have enjoyed their first week in St Aidan’s. Mrs Crawley will be teaching our class on a Wednesday and Thursday afternoon. 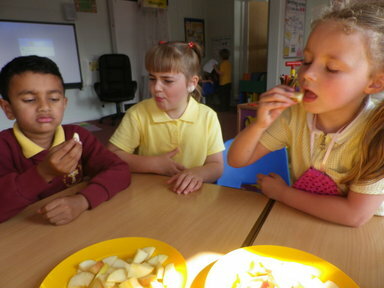 This week in R.E we have been learning about harvest time where we tasted apples from different countries to see which one we liked the best. In maths we have counted to 100 as a class and have been refreshing our number skills from Reception. As part of our first week back we have discussed and created a set of classroom rules. 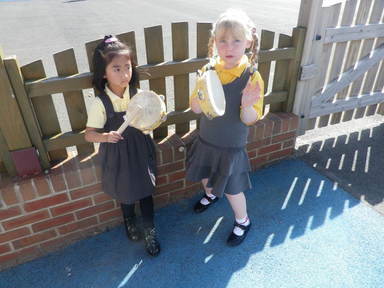 We have also been making the best of the good weather and have enjoyed playing in the yard.